"Great Disco = Great Times!" 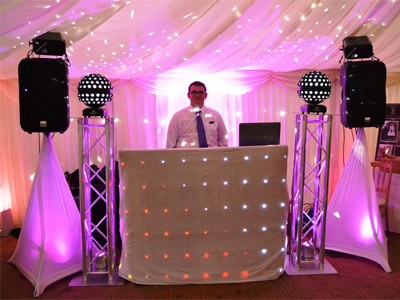 Based in Yate (Bristol), Euphorix Mobile Disco provides music for all occasions. We understand that when planning a party or event everything has to be perfect, so it's vital that the booked entertainment doesn't let your function down.Euphorix Mobile Disco is truly professional and aims to keep our guests satisfied and dancing by playing a good selection of music to suit all age groups and musical tastes. However the DJ is always mindful that it's your event, so is happy to take on board your suggestions and requests. Guests can also request their favourite songs at the event and we positively encourage this. Whatever your function or event, we have a natural ability to 'read the crowd' and we'll be sure to find tracks that will put smiles on faces and feet on the dancefloor so that as many guests as possible thoroughly enjoy themselves. We use a professional grade modern sound system and lighting display, including lasers, and thousands of music tracks to help make your function a great success. Get everyone on the dancefloor with 'Cameron' who aims to offer complete reliability, service and satisfaction. If you're looking for a fun-packed night, then sit back, relax, and let Euphorix Mobile Disco take care of your event. Required by many venues, Euphorix Mobile Disco has a current PLI policy with National Association of Disc Jockeys in the amount of £10 million. Also required by many venues, Euphorix Mobile Disco has supplied satisfactory evidence of holding current PAT inspections of their equipment dated within the last 12 months. A Method Statement outlining Euphorix Mobile Disco&apos;s Health & Safety procedure for setting up disco equipment has been provided. Euphorix Mobile Disco has provided Risk Assessments undertaken at events sourced via needadisco.com, indicating that they can undertake these competently. Why do people choose to book Euphorix Mobile Disco? offered a good set up and free photography, also a discount based on it being a charity event. nice guy. "We booked Euphorix for our wedding in March. Cameron and Steve had everyone up and dancing all night (including myself). As a young crowd, we had requested rnb/hip hop and some great songs were played. A lot of guests commented on how much they enjoyed the DJ. Both turned up in a suit with a tie to match our colours which i thought was really nice. Steve took some photographs for us of everyone on the dance floor enjoying themselves, they really were lovely. I did request some songs not to play but noticed that these were played during the night (come on Eileen and Wake me up before you go go) as i really dislike them. However my guests seemed to really be enjoying them so trusted that Cameron was reading the crowd appropriately." "Thank you for leaving a review it is truly appreciated. We're so glad that you and your guests enjoyed our disco service and the photographs which were taken. It was our pleasure to play a part in your BIG day. " "Euphorix were amazing. They were really friendly both in the meeting before the wedding and on there day. They were quick to respond and to give any information we required. The lighting and music were brilliant and the dance floor was full all night due to how good it was. The photo booth was also brilliant and some of the photos taken of us dancing and cutting the cake are our favourite. We would highlight recommend these guys. Absolutely brilliant! " "Thank you for your lovely feedback. It was our pleasure to provide your wedding disco entertainment and photography service and we loved seeing everyone having fun, dancing and enjoying themselves. We're thrilled that you were happy with our service and have said that you would highly recommend us to others. " "Cameron was excellent and done as expected great night of music would book again "
"We very much appreciate you taking the time to leave us feedback. Delighted that you were happy with the service and disco that we provided - Hope to be of service to you again in the future!" "We were absolutely delighted with Cameron and his colleague. They were fantastic and had our party down to perfection. They considered everything we asked for and no requests were needed because nothing fell flat! Would 100% recommend Cameron and would certainly use him again :) "
"Thank you so much for your kind comments & for choosing Euphorix to provide your disco entertainment. We're so glad that your engagement party went well and that everyone enjoyed themselves. " "Booked Cameron and his colleague who looked after a photo backdrop with props. Both were absolutely fantastic in both preparation and throughout the event. Cameron showed a keen interest in finding out as much as he could about the event prior so that he could tailor his approach. Would I recommend them again .. let’s just say the next time I need a disco I’ll be Heading straight for Euphorix Mobile Disco." "Thank you very much for your fantastic feedback which is truly appreciated. It was an absolute pleasure to be part of the birthday party and we hope to be of service again in the future when you next need disco entertainment." "Cameron kept in touch all the way to the party, my initial conversation with the lady on the phone was great she had the right manner which instantly put me at ease, great job guys it was a great party. Thanks so much "
"We appreciate your feedback - Thank you! So glad you had a great party. " "We cannot thank Euphorix enough, they were superb and made the night exactly how we wanted it! We provided a list of songs our guests wanted to hear which were played throughout the evening. Everything was spot on from the start of the booking right through to the end of the night. " "Thank you for your lovely comments. We had a ball providing your disco entertainment and hopefully your special day was a great start to married life together. Thank you for letting us play a small part in it. All the best for the future to you both. " "Great party and everyone commented on how relaxed it was...great music... and loved the photo opportunity with the funny props. Would definitely book again. Also played my playlist . Thank you. See you when I am 60!" "Thanks ever so much for the great feedback which is much appreciated. We were very happy to be of service to you and look forward to your 60th birthday party!!!" "Fantastic night. Music was spot! Having the photos done with the fancy dress was really good well worth the money. 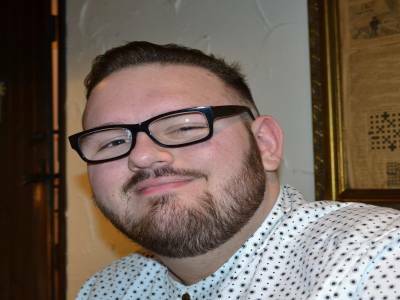 If your looking for a DJ look no further you will not be disappointed 5 star"
"It was an absolute pleasure to provide the disco entertainment for your daughter's 21st birthday. We loved seeing everyone up dancing and also getting involved with having their photographs taken whilst striking a pose wearing our fun props! Thanks so much for your great feedback which is appreciated. " "Cameron was fantastic and made our NYE and my special birthday celebration so memorable and such fun. From my initial booking to the event the communication was perfect and so I had complete confidence that the evening was going to be great. I also have some fantastic photos from Cameron’s Dad which shows that all the guests had a great time. Would definitely use euphorix mobile disco again. Thank you. " "We're so glad you enjoyed the party and it was indeed a great night in the company of lovely guests who were certainly up for having a good time! Thank you so much for your comments which are much appreciated. It's also nice to know that you are pleased with the photographs which were taken by Steve on the night. " "The set up was amazing. Two very helpful and respectful people. Only issue was they pronounced our wedding name wrong. Other than that they were amazing." "Thank you for your great comments - we had a wonderful time helping you celebrate on your wedding day. Our apologies again for the mispronunciation of your new married surname! " "The teenagers weren’t terribly easy to entertain but they did a good job and very really efficient generally and I would recommend." "Thank you for the feedback. We appreciate you leaving us a comment. " "Great music, good equipment. And the photo booth was an added bonus"
"Thank you for the feedback. We're so happy that you had a good time." "all very good, really good service would use again"
"Thank you for the feedback. We would be delighted to provide our disco service for you again in the future. " "Cameron provided an excellent service, the type of music was agreed beforehand and the timing, e.g. background music for first hour, then a mixture of different eras. My favourite was the Timewarp, the dancefloor was full. The photographs were an added bonus with props provided and they are excellent. I have no hesitation in highly recommending Euphorix." "Thank you for the lovely feedback which is much appreciated. We're so happy that everyone had a good time. See you again next year!" 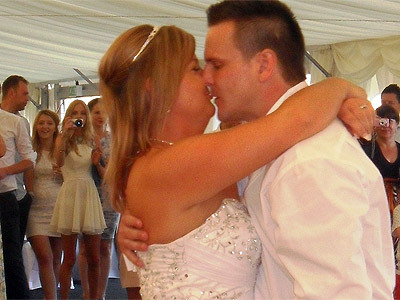 "Euphorix are easily the best DJ and entertainer I have ever used or seen. They surpassed our expectations and made our evening so special. Cameron was amazing, he played quality music and interacted with guests perfectly. Steve provided a great addition with the fun photography set and having the pictures ready for us by the end of the night just topped it off. From start to finish they were so professional, a detailed quote, clear and precise booking process and added some great touches by personally calling to discuss music genres and requirements. Having used DJ's on many occasions from the Midlands area, we were so happy we looked closer to our wedding venue and got the best around. Value for money was excellent and I would seriously look no further for your event. I will certainly use again in the future. Feedback from our guests was amazing. Thank you for being a part of our special day!" "Thank you so much for your kind words. Testimonials like this keep us going and always make our job worth while. This was a great wedding in a beautiful venue with guests who really enjoyed themselves and kept the dance-floor busy! Many thanks for choosing us to DJ for you ..... It was a complete pleasure to do so!" "lovely day , they both did a truly excellent job ,very kind and thoughtful . well presented ,good music, good lighting and made our day unique ! x"
"Thank you for taking the time to leave us feedback comment which is much appreciated. It was an absolute pleasure to be part of your wedding day. " "Thank you for taking the time to leave us a feedback comment which is much appreciated." "The photo booth was outstanding! The guy running it even went around the room taking normal photos for us! We ended up with 60 photos we didn't expect! " "Thanks for your comments. So pleased that you also enjoyed the photography service. " "I'd thoroughly recommend Euphorix - communication with the team from the outset was perfect and Cameron provided a great night of music for our guests who rewarded him with a busy dance floor! Euphorix were very clear to understand and follow our wishes (e.g. music kept at a background level until a certain time, working with us on a playlist). A real bonus was the complimentary photo and fun photo prop service. Steve is an amateur photographer but we were delighted with his pictures which have left us with a brilliant reminder of a special night. Thank you!" "Wow! What a fantastic night with non stop dancing and brilliant guests. Thank you for your kind comments." "Thankyou for making my daughter 21st a great night to remember the photo shoot was lots of fun a great added extra everyone enjoyed their self." "Thank you for taking the time to leave us a review ~ we appreciate you doing so. Glad you enjoyed the fun photo shoot! " "The DJ, Cameron, was just fantastic. The music was great and he interacted with the guests amazingly! Definitely the best DJ I have ever used, and will 110% be using again, and recommending to others! Amazing value for money and made a fantastic night for me and all my guests!!" "Thank you so much for your lovely comments - we're delighted that you had a fantastic night. We look forward to working with you again in the future." "Euphorix were very professional from start (booking) to finish. Everything was clear and precise,including their helpful suggestions of how to plan the night. Would definately use them again and highly recommend them to friends. Thankyou both for providing a great night which was thoroughly enjoyed by everyone! " "Thank you for your booking and great feedback. We very much enjoyed meeting everyone and being part of the 21st birthday celebrations." "I was very impressed with the service offered and all of the organisation. I would have no hesitation in recommending Euphorix to anybody and would definitely use them again myself"
"Thank you very much for the positive review. It was a pleasure to be of service to you and we shall look forward to entertaining you again sometime in the future!" "We had a fab time, Cameron & Steve were great. The music was spot on and we danced the night away! Thanks again"
"Thank you for your lovely comments. 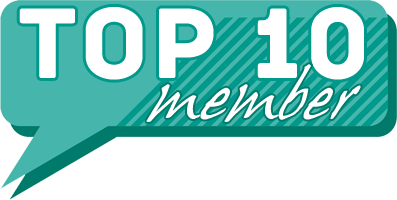 We really appreciate you taking the time to share your thoughts on our service with us." 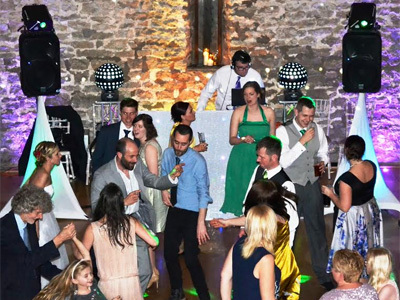 "My 0040 Parte at the Caldicot Castle went off without a hitch and our DJ contributed to this extremely memorable event. They arrived on time for set-up, the lights and music were world class and they were extremely accommodating and helpful in the run up to the event which helped me being at ease on the night and being able enjoying my birthday party without worry. Thank you again for your professional service, I would highly recommend you in the future. " "Thank you for your lovely comments. We're so happy that you enjoyed the evening & it was an absolute pleasure entertaining you and your guests!" "Highly recommended. Really take into consideration their client's requirements. Everyone really enjoyed the music and commented on how good they were." "Thank you for your kind words. We're really pleased that it was an enjoyable evening for both you and your guests." "The guys were excellent. On time, quick set up and great music." "Thanks for the positive feedback! It was a great night and we were thrilled to be asked to provide an extra hour of disco entertainment." "Cameron and Steve from Euphorix did a fantastic job for my husband's 50th birthday party. They were very professional right from the start, always responding to any emails promptly and making sure I had all the information I required when I needed it. On the day they arrived and set up smoothly and needed no assistance. The music was perfect for our event, and certainly made sure that everyone had an amazing time!" "Thank you - you and your guests made it a fantastic night and it was a pleasure to provide the entertainment at your husbands surprise Birthday party." "Delighted with the planning, organisation and delivery of all aspects of the service. Would highly recommend to others. Nina & Kevin"
"Thank you for your lovely comments. We had a thoroughly enjoyable evening and are thrilled that you were happy with all aspects of our service." "Really helped to make our special day even more special thank you very much"
"Thanks for the lovely feedback. It was a pleasure entertaining you on your special day. Our best wishes to you both for a long and happy marriage." "I had a great experience from start to finish. Extremely well organised and utterly professional throughout. I would recommend them without reservation." "Thank you very much, its really lovely to know that you had a great experience and are happy to recommend us!" "Fantastic professional service. The guys exceeded all of our expectations and made what could have been an OK night, an absolutely great one by providing us with great music all night. They also helped us take a few big group photos and we\'re extremely friendly. They were also the cheapest of the quotes that I received and so I would definitely say that they are excellent value for money. Throughly recommend Euphorix for any disco and I would book again in a heartbeat." "Thank you for leaving a review. It was a lovely party and a thoroughly enjoyable evening. Were so delighted that we exceeded your expectations and you felt that we provided you with excellent value for money." "Great disco provided, the order in which they went about it was great playing musical more quietly when the guests were arriving so that we could all talk and then later turning it up and everyone got involved! They had all the music requests it was all round great I would recommend this disco!" "Thank you for your kind words. It was our absolute pleasure to provide the disco entertainment and were delighted that you were happy with our services and would recommend us to others." "The guys were extremely helpful in the run up and on the evening helped make it a great event." "Thank you so much for your kind comments & for choosing Euphorix to provide your disco entertainment. Were glad that we helped to make the party a great event!" "These guys are amazing! I was quite worried about hiring a DJ as I knew exactly the kind of music I wanted playing at my party and more importantly, the type of music I didn\'t want playing! I gave them a detailed play list but left it to them to choose which tracks would go down best on the night and to add similar music etc if they felt it would fit in - which they did! It was exactly what I wanted and the lights were incredible! They were very professional right from the beginning finding out exactly what I wanted by email, and on the night set up and took down the equipment with the minimum of fuss. I would DEFINATELY recommend them!!" "Thank you for your lovely comments. It was our pleasure to entertain you and your guests and were so pleased you were happy with the service we provided." "I had a very specific brief around the type of music, not allowing any 70/80 and they stuck to it, they were very professional with my guests and even played for longer than agreed, whilst packing up. All my guests enjoyed the music and their light show is excellent - really went down well. The communication before hand was spot on and reassured me that this element of my function was taken care of - which it was. Thanks"
"Thank you so much for your kind comments & for choosing Euphorix to provide your disco entertainment. Were so glad that your party went well and that you and your guests enjoyed yourselves." "Very polite team who were very professional, friendly, helpful, on time, accommodating with a good variety of equipment and music available. Would highly recommend them and most definitely be using them again. Overall excellent service and good value for money." "We very much appreciate you taking the time to leave us such wonderful feedback. Delighted that you were happy with the service and disco that we provided." "Very friendly and helpful - did exactly what was asked of them. Would definitely use them again and recommend them. " "A great evening the DJs judged the mood perfect, worked very well with us, and people were very impressed with the lights. I;ve had lots of compliments saying what a great party! " "Euphorix were absolutely great - they communicated so well from the start, really listened to what we were looking for, scoped out the venue ahead of time, and did a fab job on the nigh. They got people dancing and kept the dance floor going until the bitter end. I was really impressed with them and cannot recommend them highly enough! " Euphorix Mobile Disco also offers a range of additional party services not directly linked to musical entertainment. Please note that needadisco.com has no editorial control over these images which are stored on flickr.com. If you have any concerns about what you see below, for example potential copyright infringement or unsuitable content, you should take this up with Euphorix Mobile Disco directly using the Contact section below, or else you may alert flickr.com directly quoting "set number 72157657112369175". Following in his Dad's footsteps. Enthusiastic, reliable and hard working. If you are contacting Euphorix Mobile Disco about an event, it's always a good idea to include the DATE, LOCATION, EVENT TYPE, AGE GROUP and TIMINGS to speed things up!